When you begin to build your website you hear the word keyword quite often. I am sure you have asked, what are keywords for? Well I am going to explain to you what they are for, why they are important for your website search engine optimization (SEO), and where to effectively use them. Knowing the answers to these three will greatly help your website content to get better rankings within the search engines. As I am sure you already know, the higher you rank in the search engines, meaning the closer you are to Page 1 in search results, the better off and more traffic (people) you will get coming to your website. First off let me explain the meaning of a keyword. Keywords are the words that people type into a search engine when looking for answers or solutions. Keywords are used to send targeted search traffic to your website. You can almost think of them as advertisements for your website SEO. When someone does a search on let us say Google for your keywords, Google will then display all content that it has indexed with those keywords in it to the person who is doing the search. For example, you go up on Google and you want to know, when was West Point built? Google in a matter of about a half second will gather every web page and post that it has indexed about the history of West Point and it will display these pages in a most relevant order pertaining to the search query. Why are keywords important to your SEO? So if you want to drive the most traffic to your web page or post you want to make sure that you are using low competition keywords so that you can rank higher in the search results. What do I mean by low competition keywords? 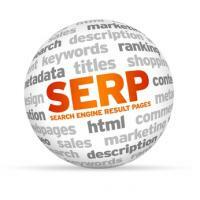 It means that less webmasters are targeting for that specific keyword or keyword phrase. A low competition keyword is a bit more specific. For example if the keyword was “Running Shoes” that would be a keyword that many webmasters will more than likely use because it is very common. But if you used the keywords “Fila black and red running shoes” you are being more specific and more than likely the competition would be lower. So if you can determine what the lowest competition keyword is that someone will type into a search engine for what you have to offer, then you will have mastered keyword research. Finding the right keyword will be very beneficial to your website SEO because the lower the competition, the more likely that your content will be seen higher in the search engine results page (SERP). Why is being seen higher in the search results important? Think about your actions when you go up on any of the search engines for information. How often do you go past the first page of results on to pages 2 and beyond before you decide to click on a website? The majority of people do not go past page one, so the higher your page can rank, the better. Where do I put the keywords for best SEO? 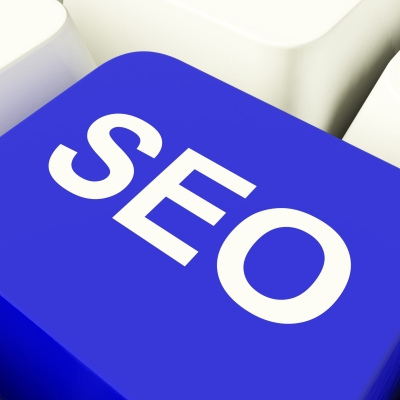 There are two areas that are important for where your keywords should be for the best SEO. The first and most important place is in the title of your page or post. If you are using a long tailed keyword, which is a keyword that has more than 3 words, sometimes it may seem difficult or not feasible to have it as your page title. In order to be able to include it, see the explanation on my Using Keywords page. The second area that is important for your keyword to reside is ideally somewhere within the first paragraph, though it could be in the second paragraph depending on how your content is written. The one thing to remember is that your content needs to flow and sound natural where ever you put the keyword, it cannot sound like you “stuffed” the keyword into the content. After placing the keyword into your first or second paragraph you should not use it again for the rest of the content on the page. If it does come up again within the conversation of the content and it comes up naturally, then that is okay as long as it does not happen often. Ideally your keyword should not appear more than twice within the content of the page. There are many types of keyword research software tools you can purchase online that will do many things in addition to just giving you search results. They all basically do the same thing, just that some have more bells and whistles and cost different prices. However for the sake of this post I am going to be talking about the one I get to use for free with my membership to Wealthy Affiliate. If you are interested in training and Internet Marketing opportunities such as what I enjoy at Wealthy Affiliate, you can get more information on The Wealthy Affiliate Review page. But as for how to find keywords let me continue with the keyword tool I use at Wealthy Affiliate that does what most other tools do. In the picture above you will see a view of the keyword tool I use. I did a search for the keyword – best free website builder. The results I got back were pretty good. The current monthly searches are 10,517 and the monthly traffic is 1,788. Those are both good numbers because they show that many people are typing this keyword into the search engines every month. However the most important number is that of the competition and that number should be below 300 if you should want to have a good enough chance to rise above the competition. Google claims 400 and below, I personally shoot for 300 and below. To find out the competition number for this keyword using this keyword tool, I need to click on View Results. 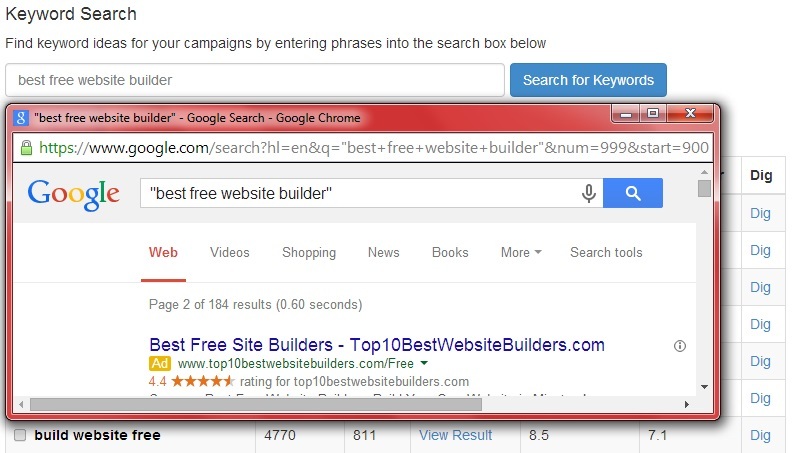 By clicking on “View Results” the keyword tool searches all of Google to display the monthly competition results. In the picture above you can see that this keyword has a low enough competition value of 184 per month. This would make a great keyword to create a page or post of content on. This is why keywords are still important. They say that “Content is King” and this is true. If you have great content and no real targeted keywords you still can get good rankings but the flip side is not true. If you have great keywords and not great content you will not rank well. But when you combine great content with great low competition keywords you have a winning combination. Keywords will help to get you listed higher in the SERP but it is your content with the keywords that will get you traffic and ultimately conversions. So it is always in your best interest to find keywords that have monthly high searches and low competition. This will greatly benefit your website within the search results. You should also check out my post on What is the Meta Description because this is another area where keywords play an important role in SEO. If you have any questions or comments about what you have just read, please leave them below. Also please share my content with those who can benefit from the knowledge by using the Social Media share and like buttons below. Keywords PLUS great content make for a positive end result, conversions! Thank you for taking the time and using your knowledge to explain this winning combination. This is a wonderful gift for your readers! Thank you Diana. They say Content is King but I always like to add that Keywords are Queen. They both work well together for the same results – conversions and better SEO. I truly hope my readers do learn from this blog post. Hey thanks for sharing this information, i found your explanation very easy to follow and i found it easier to understand than some of the trainings i have completed. Very valuable! You are welcome Tina. That was one of the objectives I wanted my website to be, easier to understand than some of the training out there. This way if someone were to learn something and then would see the same subject on my website, that they could learn it again in a different and more easy way. Sometimes it is always best to learn something from different perspectives because you may just absorb it better. You have provided a lot of information in an easy to understand manner. It helped explain the use of keywords and the importance of using them in my site. You have done a great job explaining how to find keywords and where to put them on pages. Great job! Thank you Melanie. I always try to provide easy to understand information on my website so that it can benefit anyone looking for help, especially in a subject as confusing as keywords seem to be. A great article. I am fairly new at internet marketing and still trying to grasp the use of keywords. I have learned to start with a keyword search before writing my articles because sometimes I find a great keyword but need to write the article from a different angle than I was expecting. Your article helps on where to effectively use the keywords. I agree with you that the Wealthy Affiliate keyword tool is a great one to use. It is a lot simpler than some of the other keyword tools that I have tried. I always do a keyword search before I write any of my content. Plus when I do this I make sure to find a few of them so that if my content should happen to go in a different direction I will perhaps have a keyword ready to use without having to go and search for one. Then there are those times that I may not be able to find a keyword and will just write my content without one. Being that Google will index all of your content, it will also rank you on the natural keywords that will appear within that content. This is why Content is King. – Thank you for your comment Josh. Thanks for sharing this post! 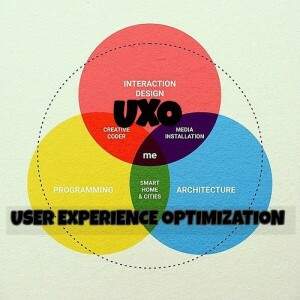 Finding the right keywords is really important in improving our website rank in search engine. Keywords have a big impact on our business sites since it is anywhere, our business domain name, meta description, post title, images, etc. I also agree with you that with great content, plus the correct use of keywords, can be a winning combination. Though “Content is King” I like to say “Keywords are Queen.” Yes you can get good rankings from content alone but when you combine that content with great keywords, your chances for higher rankings improves. Just like the Queen compliments to works of the King, so does keywords compliment your content. Then when you properly use those keywords in the “key” areas for better SEO (Search Engine Optimization), your content will get better exposure through organic search engine rankings. – Thank you for your comment. Nice one! Content King plus Keyword Queen. I’d like to remember these terms. That is the best way I like to describe the two because in the sense of content creation for websites it is definitely true. Content will always be King but it becomes even better when the Queen, “Keywords” can contribute to the content. Thank You for sharing the importance of keywords. I have been going over my site every day looking to see were I can improve on the keywords. I have also gone through and added keywords to my meta disc. I have been with WA for 2 months now and the help from you has been very helpful. Thank You again. You are welcome Linda, I’m so glad I can help you. That is the reason for this website, to help others not just to avoid scams but to give them a better opportunity and to help them to grow and build their websites. Properly using keywords, meta descriptions, selecting a niche, and writing content plus other ways to market their websites using social media is what I want my website to provide for my readers. – Thank you for stopping by. Hi Robert! Great article. Your explaination is clear and precise, I am sure any one who is reading this article would want to find out where you get the keyword tool. It is really an awesome tool that comes in a package with WA membership. Now, after a year in WA, I feel that the keyword tool in WA is essential whenever I write an article. I will also heed your advice to only use the same keyword twice (if possible)within my articles. Thank you so much for your knowledge! 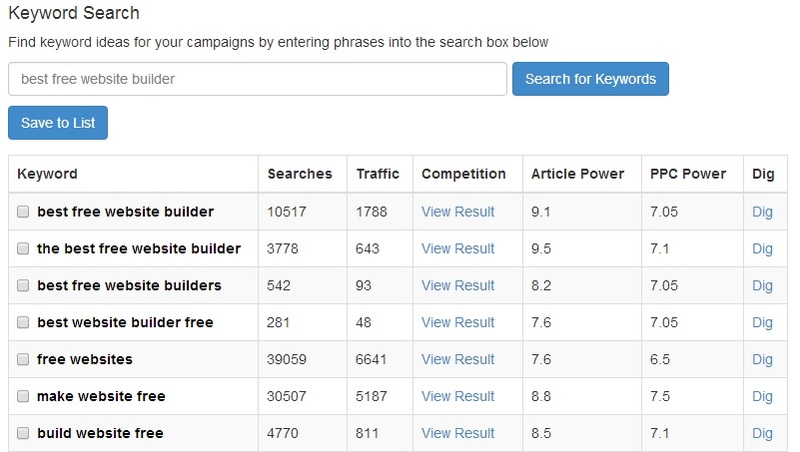 I agree with you Jack that the keyword tool at Wealthy Affiliate is truly a really good tool to use for keyword research, plus it is free to use! I do realize there are many other great keyword tools available that have more options but I have used the free WA keyword tool for a little more than a year now and it has done a terrific job for me. – Thanks for your comment! I liked the way you explained this and wish I would have found something like it when I first started. Because I was definitely one that wanted to know what keywords were for and not only that but where to put them. There will be all kinds of folks that will find this article helpful especially the part about low competition keywords. 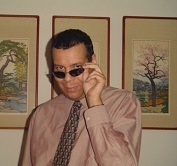 You are welcome Jason, I am happy you found my explanation of what are keywords and how to use them helpful to you. I too hope my article and explanation of low competition keywords will help many to create their website content. I’m beginning to understand the use of this and agree that content goes well with keyword. Thanks again for your article, I understand it more clearly. You are welcome Bernie! It is true that “Content is King” but I always say that “Keywords are Queen”. When keywords are used correctly your content will do well in the search engines. The problem with many people is they tend to over-think the process and get into trouble by using keywords in the wrong way, then wonder why their content is not getting ranked in the search engines. Just use them the simple way I explain above and you will do just fine. Hey i really like this article! It helped me understand keywords a lot better. Thanks for the post! You are welcome Ashley! I am happy that I was able to help you to understand the proper use of keywords and how they will help your website creation. Thank you for your comment and please visit again! This is a very informative post. It gave me a better understanding of what keywords are for and why they are good for SEO. Thank you Michael, I am happy that my post was able to give you a better understanding of what keywords are and how to utilize them for better SEO. Dear Robert! It’s been almost a year from me, since I started my free membership in WA. Almost one year blogging and this information about keywords fits always great. To me it is a reminder; somehow I know I’m on the right path and still got to learn new things from your post about keywords! Thanks a lot! You are always welcome Andrea. Being that I am someone who likes to eat healthy and cook my own meals, I love reading your website for ideas and recipes. I can see you have gone far with the training at Wealthy Affiliate within a year just like I have and keyword research has played a major part in both of our growing websites. 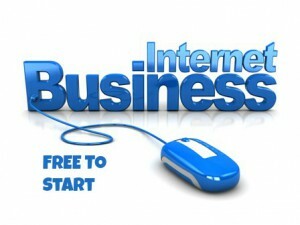 I am happy that the knowledge I am sharing on this website is helping you and others with their website creation. – Thanks for your comment! When I first started my online business I had no idea what a “keyword” was, how to find one or even what to do with one. I have learned a great deal from your blog post and I now have a very clear understanding about keywords. What other effective keyword tools would you recommend besides the one at Wealthy Affiliate too? You are welcome Neil. I am happy that you found the information I shared helpful to you. Keyword research is an important part of website content creation and also beneficial for marketing your website. How and where to use your keywords are really not that hard to master. The only hard part is coming up/creating a high search and low competition keyword. Other than the Wealthy Affiliate Keyword Tool which is the most simplistic one to use, if you want one with a little more features to it I would recommend using Jaaxy. Thanks for that information, Robert. That’s a great description and so easy to follow. 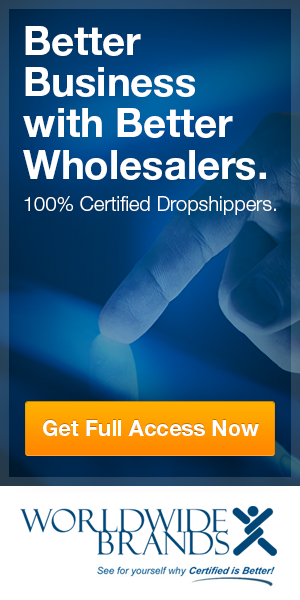 It sounds like Wealthy Affiliate has some great training! Did you learn all this through their training? You are welcome Alice. Yes Wealthy Affiliate has some great training and I have learned many aspects of using keywords from the training but I also have learned from following the advice of Matt Cutts from Google. 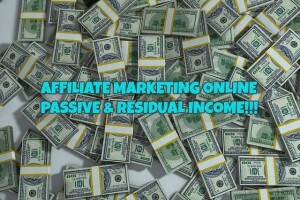 Though Wealthy Affiliate is my #1 recommendation for anyone who wants to start an online business on a budget, see my latest Review here – http://legitimatejobfromhome.com/wealthy-affiliate-review-2014-still-my-1-recommendation – I also like to get further training from other reputable sources like Google. Another great article. Very helpful. I just read somewhere that you should also pay attention to your media, as it is searched by Google too. Is that right? How can you capitalize on that? I create most of my own media (photos). Thank you Don. – Yes, you should also include your keywords in the name of your media as well as placing it in your Alt Text for the media. It doesn’t matter if you create your own media or source them from somewhere else. You can always rename the file to match your keywords. Hi, very good and to the point article. I like the way you show how easy it is to use this tool. Now that we have the keyword, the content must follow otherwise your audience will not come back. Thanks for sharing all these great articles. You are welcome Fred. 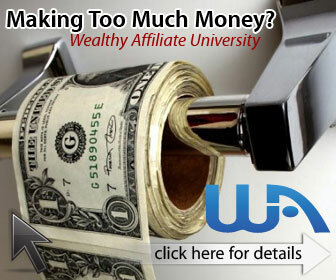 The Wealthy Affiliate Keyword Tool that I use is simple and straight forward. Like I said in my post, it functions just like all of the other keyword research tools available on the internet but without all of the bells & whistle extras. It’s a simple tool that just gives you the important numbers of what is necessary for finding great keywords.